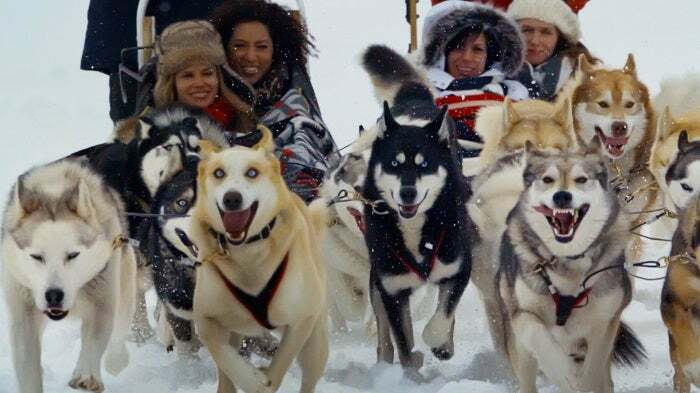 Have you dreamed of driving dogsledding through a pristine alpine valley while driving your own team of dogs. 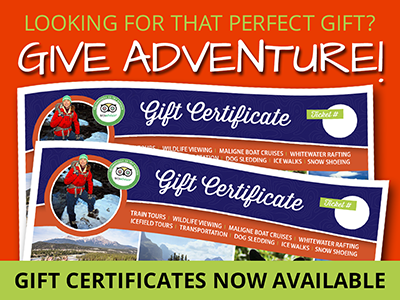 Don’t wait a moment longer – Your adventure begins now! 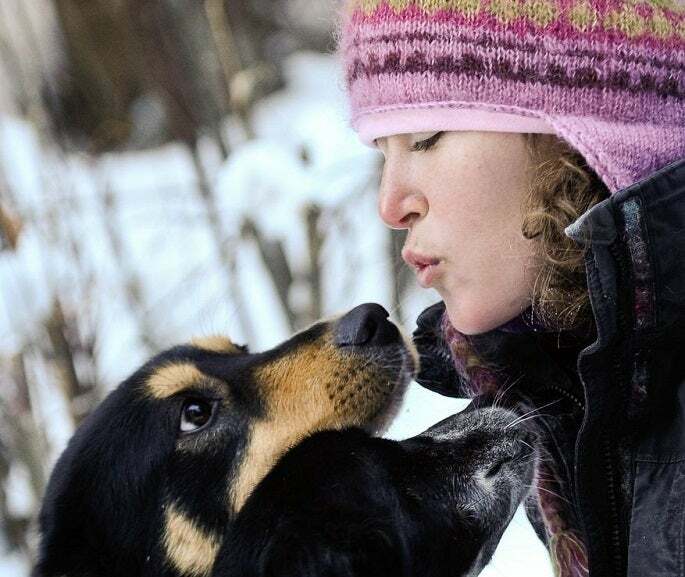 Our Dogsledding partners are located 90 minutes outside of Jasper in Valemount, British Columbia. 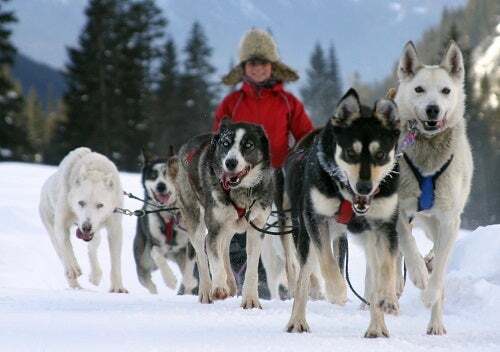 They provide transportation (or you may drive your own vehicle) through the Yellowhead Pass to your dogsled experience. Following a brief lesson you will have the opportunity to drive your own team of 6 to 8 dogs, or you can choose to snuggle up in a blanket and let someone else to do the driving. 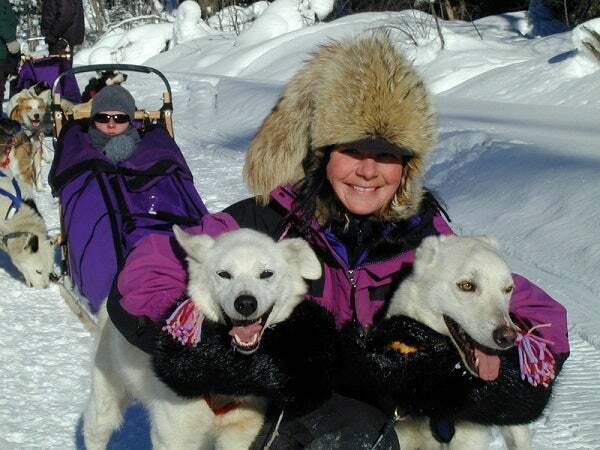 Travel time to the Dogsled staging area is approximately 90 minutes from Jasper. Please be prepared for winter mountain driving conditions and a time change to Pacific Standard Time (one hour behind Jasper) if you choose to drive yourself. We did the one-hour dog-sledding which involved a full hour of mushing, preceded by c. 30 mins of instructions and followed by around 30 mins of hot chocolate and cake and playing with the dogs. The scenery was amazing, and the experience was exhilirating! We thought the price was reasonable compared to other providers and would highly recommend it!